A sinister entity has been keeping an eye on Superman and his family in Hamilton County. 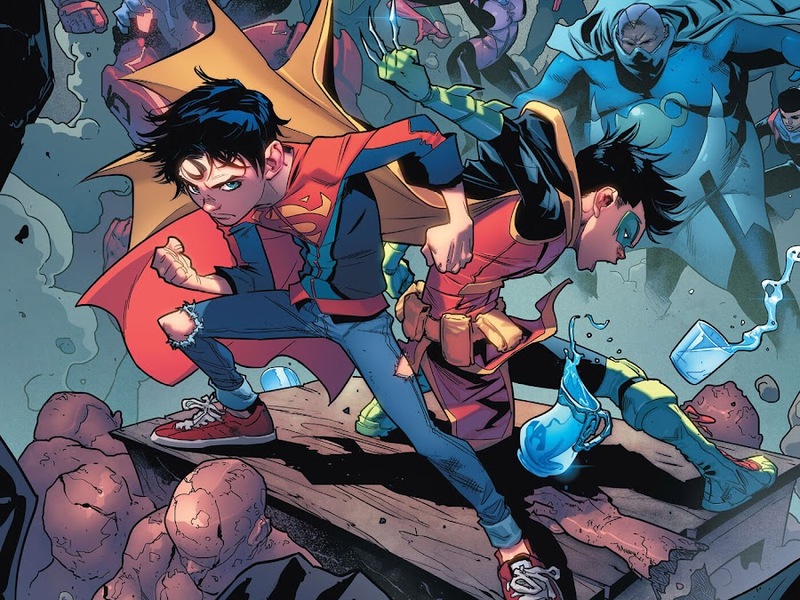 Then the Dynamic Duo came to see young Superboy. The Kent family has been living in Hamilton County for some time as Superman slowly adjusts to this new world. With his wife Lois Lane and boy Jon Kent, Clark is living the simple life he used to lead on Smallville. Jon is getting along fine with Kathy Branden, granddaughter of their neighbor Cobb. At night, Batman and Robin pay a secret visit to Kent Farm to talk to Clark about something important about his son as Superboy secretly watches but all are caught and brought inside the house for some apple pie by Lois. When Clark asked, Bruce revealed that as a full healthy human-Kryptonian hybrid Jon have the capacity to surpass the great power of his father and by now, he should have had been at full power, whereas Jon can barely fly. So, he suspects something is holding the boy back and asks if they notice anything suspicions around. When everyone went to sleep, he decides to Cobb's Dairy and sneaks into their farm to collect some fresh milk sample from the cow Bessie but suddenly, he is attacked by black liquid that captures him. The next morning, Cobb and Kathy arrives to deliver Bessie's fresh milk for Jon and Damian Wayne is introduced to them as Garth. As he departs, Cobb pats on Krypto's head and it appears that he has some psychic influence on the dog. 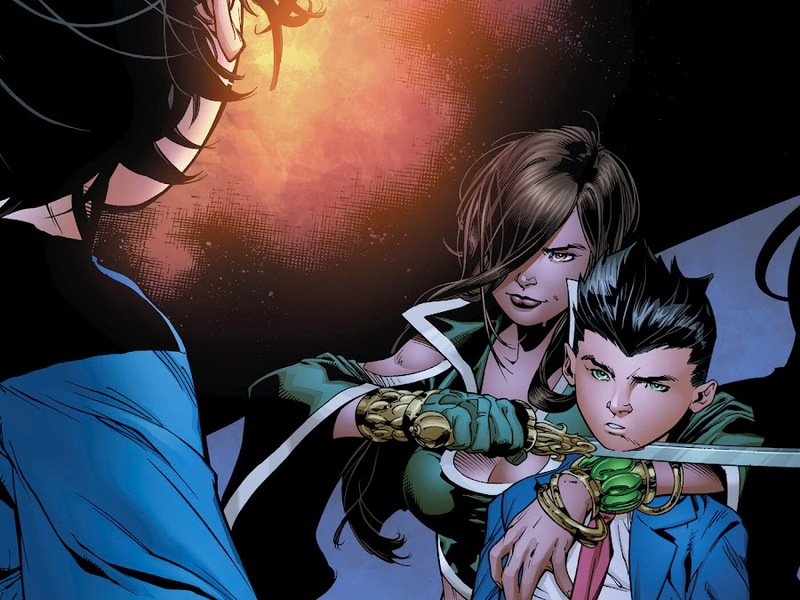 Later, Batman is nowhere to be found which even surprises Damian. 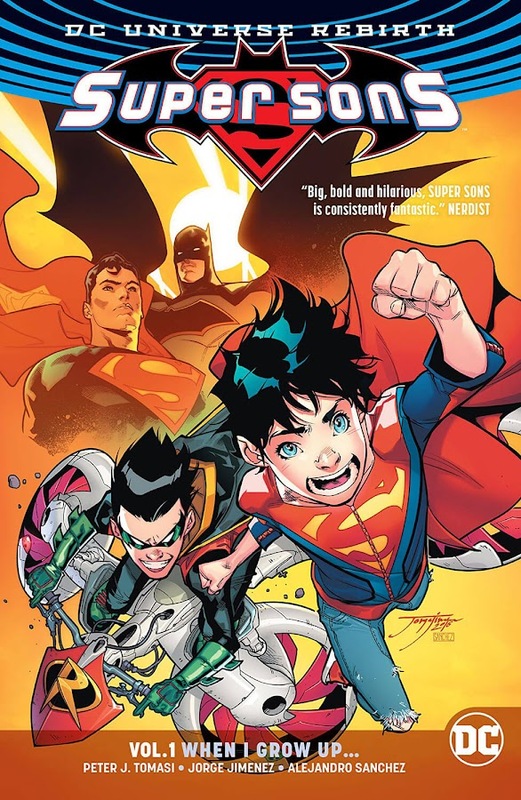 Robin, Superboy and Superman go on a patrol over Hamilton County to locate Bruce but are interrupted by a giant squid creature they fought before in the arctic (Son of Superman). With much less effort, the trio handled the situation but it was Jon's brash actions that saved lives in the end. Superman heads to Deadman's Swamp after sending the boys home. Damian and Jon were bickering while they were returning and as it started to become a fight, Kathy intervenes by chocking him up in the air with her telekinesis. She even managed to redirect Jon's heat-vision. Meanwhile, Superman discovers Batman, Frankenstein, Robin, The Bride and many others stuck in some containment underground. Back home, Lois was getting worried upon having no words from her husband or son and go out investigate. She is confronted by fellow townspeople Candice, Doc Brooks, Mayor Goodman, Mr. Martinez and Officer Haggart at her house and makes a break for it in the Batmobile using the Hellbat Gauntlet. She was eventually stopped by Cobb Branden and Superman quickly rushed to the spot hearing her cry. Cobb is soon taken care of and Clark flies off with Lois. She points out that lately, Hamilton County has become a target for various monstrosities and as he tries to help the people, Lois is severely injured in this chaos. 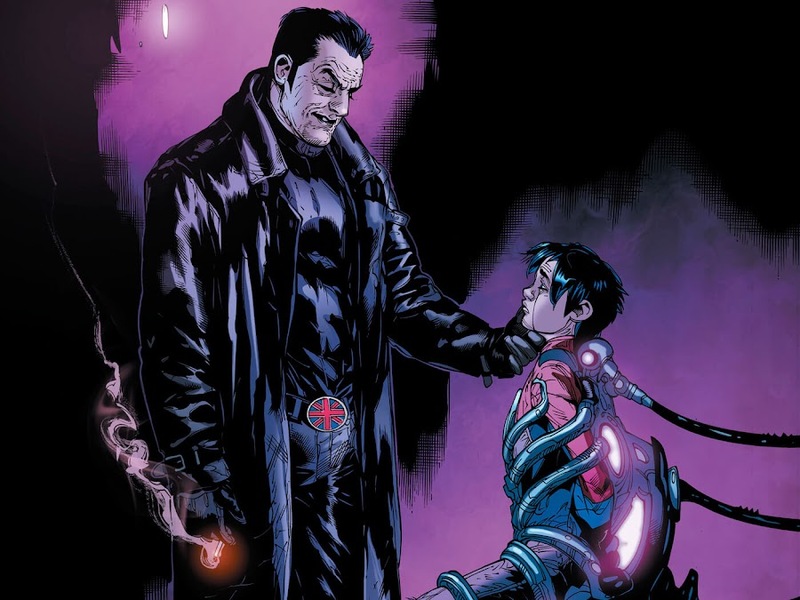 Elsewhere, Jon is being forced to watch his friends and family in peril and sheds tears for them but then his mysterious captor came out of shadows and revealed himself as Manchester Black, one of Superman's old enemies. 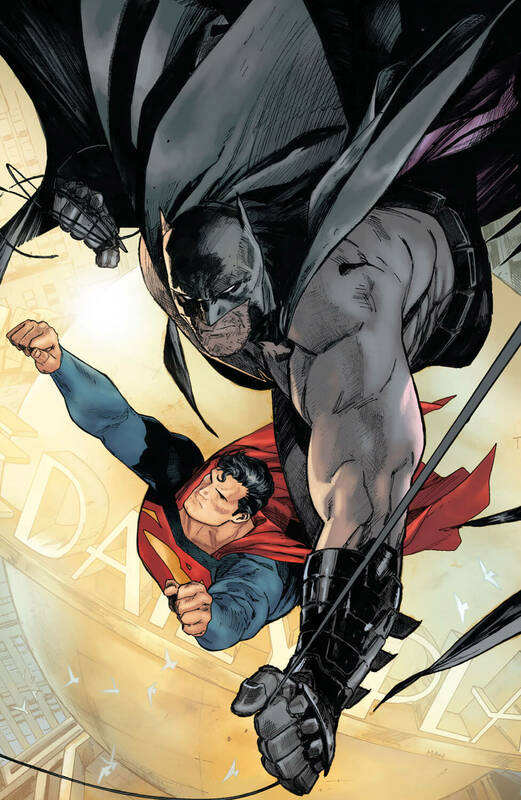 Here is your links to buy "Superman – Black Dawn" from DC Comics in issues on Amazon. Here is your link to buy "Superman – Black Dawn" from DC Comics on Amazon. 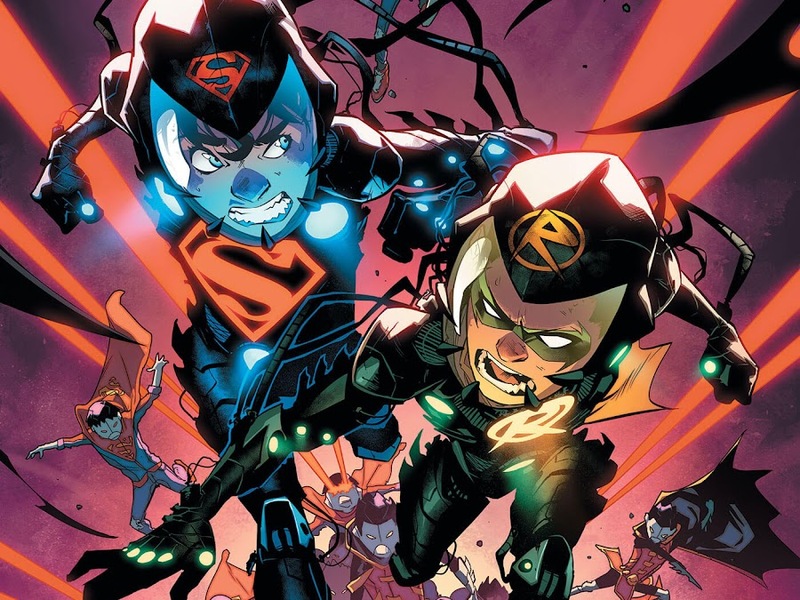 "Black Dawn" marks the fourth Superman storyline of DC Rebirth era following "Multiplicity" and "Trials of the Super Son" from DC Comics. 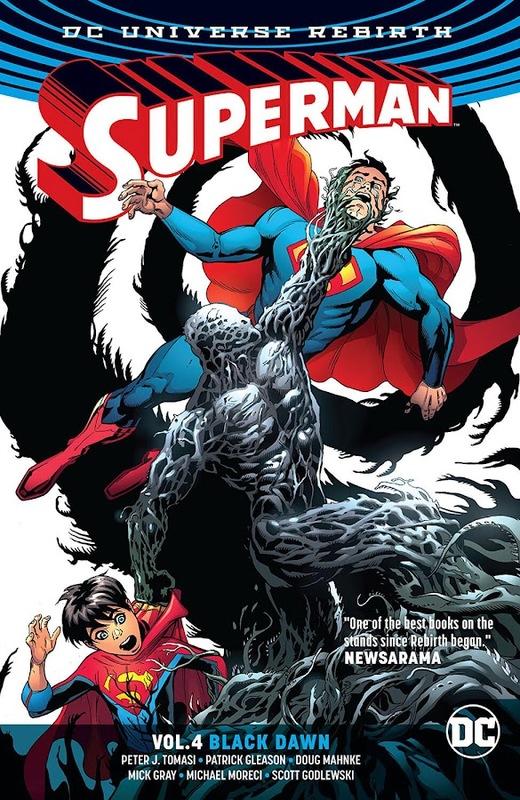 The story takes place on the fourth ongoing volume of Superman in 2017, collecting issues #20-26. 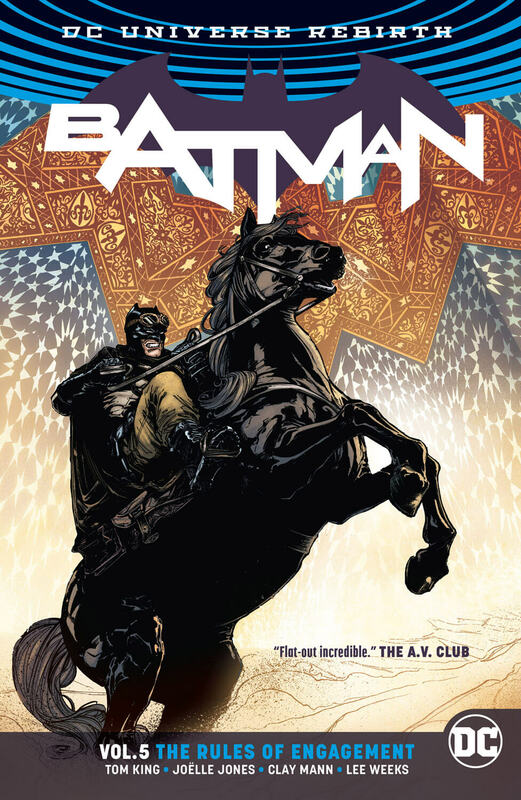 Plotted out by the duo of writers Patrick Gleason (Brightest Day, Sinestro Corps War) and Peter Tomasi (Batman – Arkham Knight, Black Adam – The Dark Age), artist Doug Mahnke (Final Crisis, Justice League Elite) was brought on board to do the illustrations for the arc alongside Gleason, who also wrote several issues for the plot. 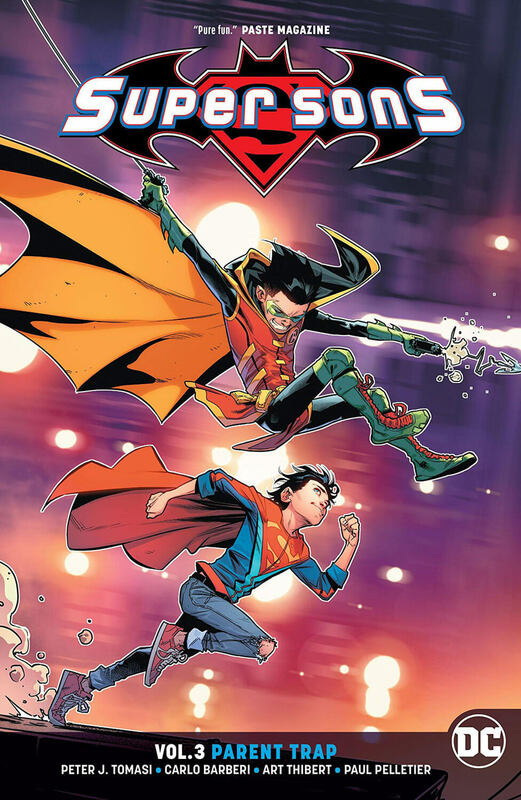 Even though it was a plot set on solo Superman comic series, the primary focus revolves around Clark's son Jon Kent, the new Superboy. There is even a scene where Clark lectures Jon about the consequences of choices he made much like the way actor Kevin Costner's character Jonathan Kent does to a young Clark Kent in 2013's Man of Steel film. In pre-Flashpoint reality, Manchester Black used to hang out with his super-team The Elite but this Prime Earth version is aided by the group of Super-Elite. The story will be going onward followed by "Hopes and Fears" storyline as the series advances. One of the most legendary members of Titans, Wally West came back from void of worlds and Deathstroke is eyeing for his Speed Force! Years ago, Grant Wilson AKA Ravager took it upon himself to take out the original Teen Titans with his augmented powers given by H.I.V.E. 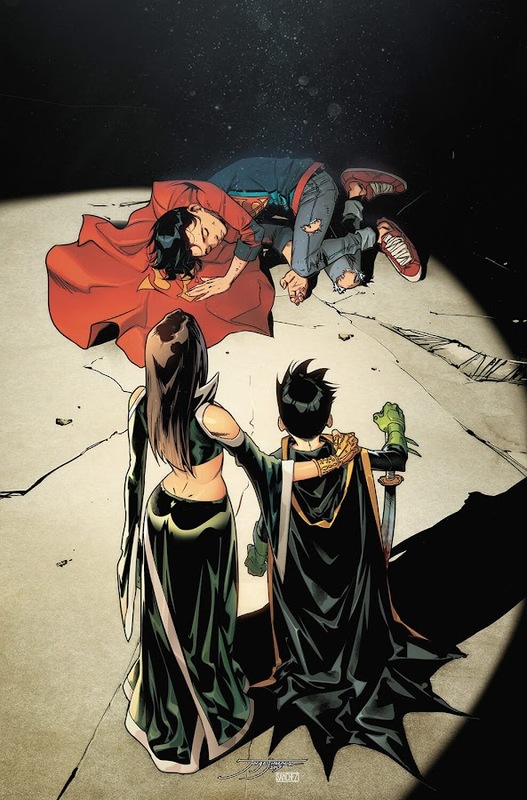 He manages to take down the whole team but his heart finally gave up when he was about to deliver the final blow to Robin. Lilith senses what really went up with him and Kid Flash tries to stabilize his heart that is burning up with a CPR to no avail. Thus, Deathstroke lost his son and after comforting his dying son, Slade blames the Titans for this and swears vengeance on them. For years, he couldn't forgive them and was always looking for an opportunity to hurt them. On present day, Slade wakes up in a hospital with his old friend Major Wintergreen sitting beside him as the former has just gone through a successful eye surgery after a recent incident that blinded him. Wintergreen updates him on his children Jericho and Rose while reminding that Grant is still dead because Slade kept calling his name in his sleep. 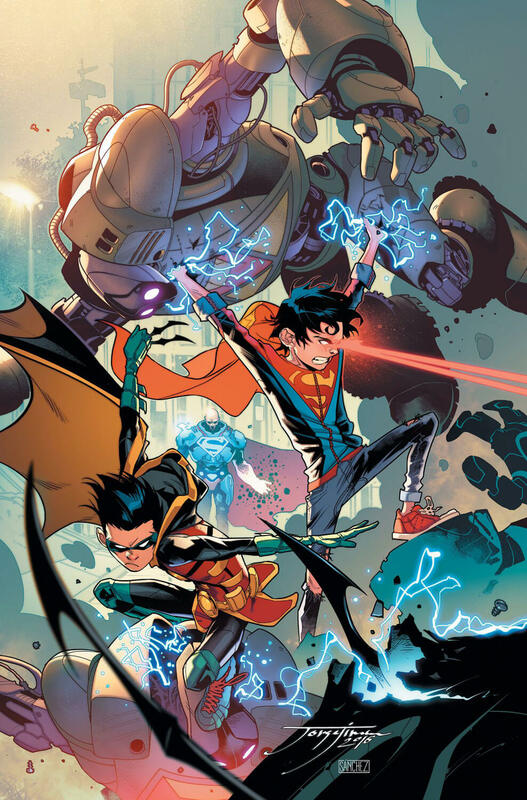 Meanwhile Arsenal, Donna Troy, Wally West, Nightwing, Omen and Tempest were fighting a bunch of goons that they thought to be working for H.I.V.E. 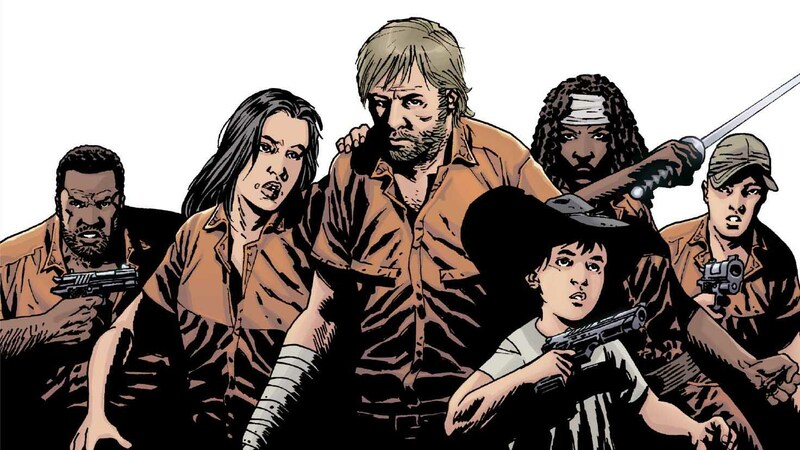 One of them confesses that they were hired to deliver a message by a person named "Lazarus" and then the rest of the Titans realize that The Flash went missing among them. Wally discovers himself strapped to a machine as a voice asks his name, which he surprisingly answers to. 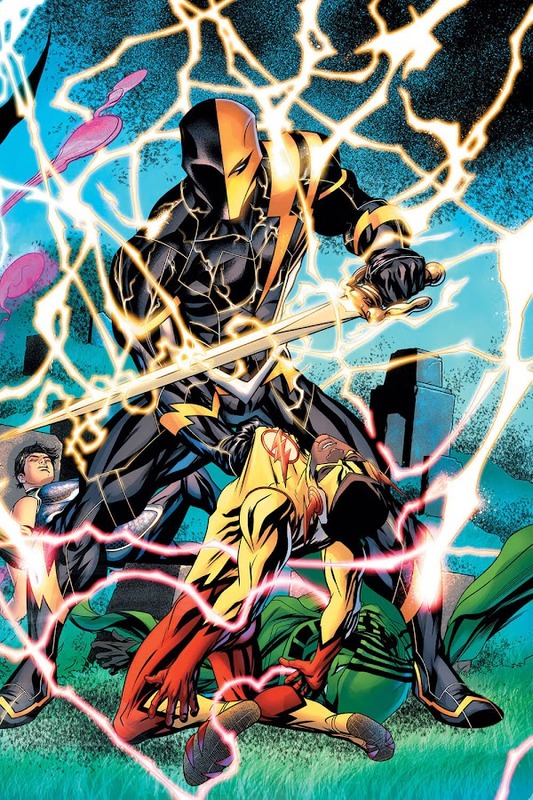 He realizes that his captor is none other than Deathstroke, The Terminator and he proposes to Wally that if he helps Slade save his son by tapping into Speed-Force and going back in time, he will quit being Deathstroke forever. Despite having the chance of saving many from Slade by agreeing, Wally is not willing to take chances that can mess-up timeline of reality once again. As he refuses to take his deal, Slade then reveals his back-up plan in case of his lack of will to comply. Wally sees a captured Kid Flash, who is the Wally West of Prime Earth, now in Slade's custody. Back on the Titans Tower of Manhattan, Wally's teammates Arsenal and Tempest tries hard to locate him with no result. After trying to talk with Grayson, Lilith senses that even though he knows what's going on and what it means by "Lazarus", he's still lying to them. At Titans Tower of San Francisco, while training with Beast Boy, Jackson Hyde and Starfire, Raven expresses her concern about Kid Flash when he didn't show up in time. Robin then points out that he is not the only speedster who's gone missing. 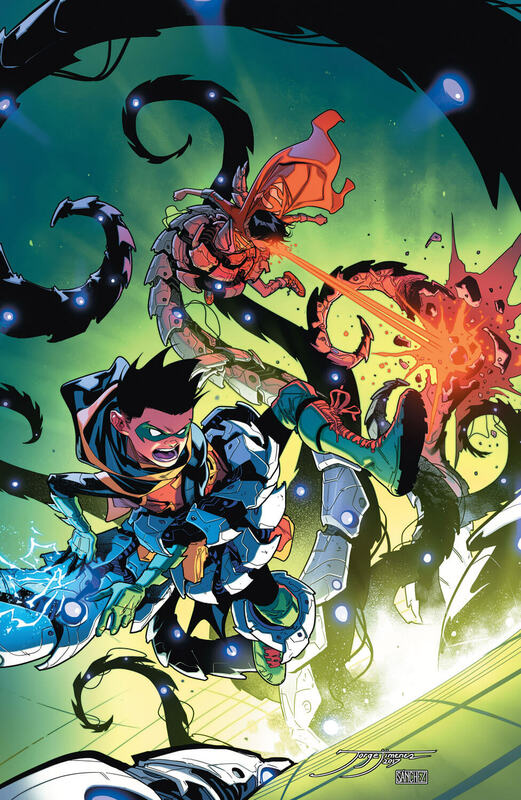 Damian Wayne faces Nightwing about the recent disappearance of the two Wally West of their teams and his disrespectful behavior towards Grayson agitated the remaining team members into taking a stance. After a little banter among them, they eventually all come to the conclusion that they should face Slade Wilson together for answers. Deathstroke then offers Kid Flash the same deal he offered to The Flash and convinces him to help him save his son to redeem himself and as they travel through time, Slade manages to steal the power of Speed-Force from Wally for himself. 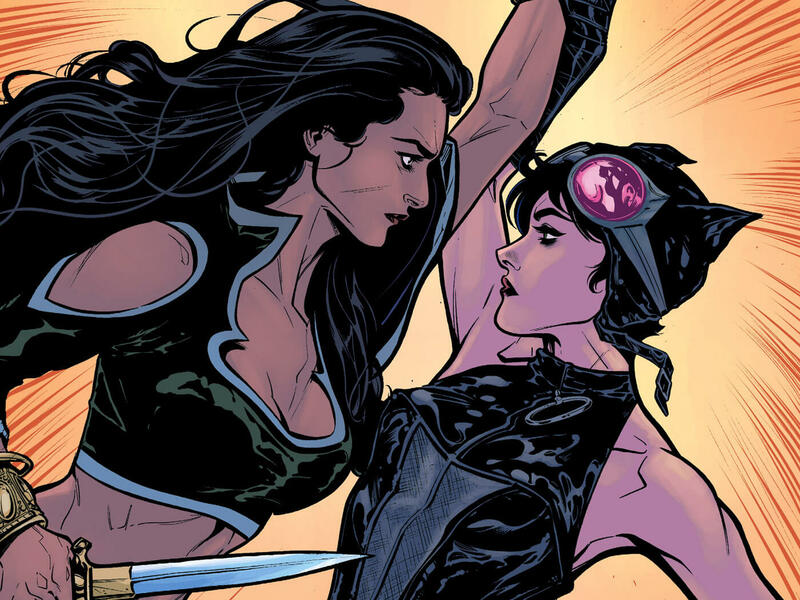 Here is your links to buy "Titans – The Lazarus Contract" from DC Comics in issues on Amazon. Here is your link to buy "Titans – The Lazarus Contract" from DC Comics on Amazon. 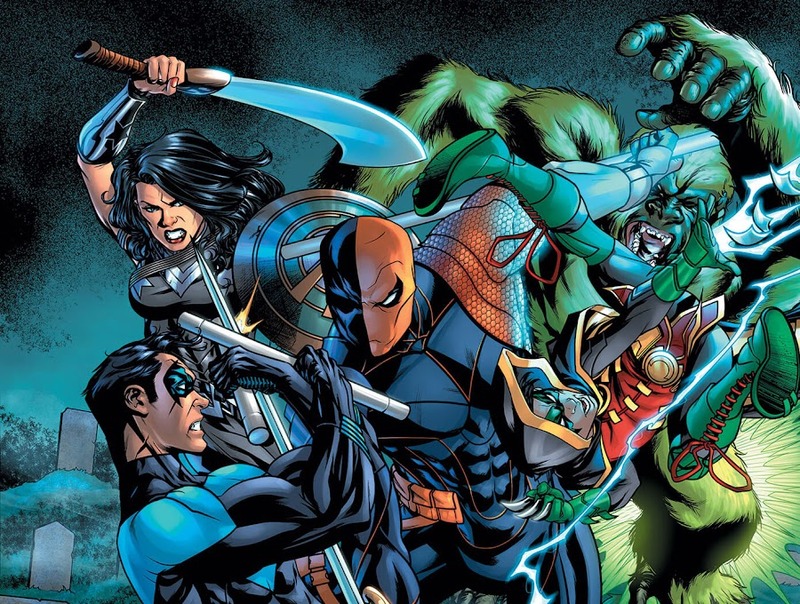 "Titans – The Lazarus Contract" targets to be one of the most prominent crossover involving Deathstroke, Teen Titans and Titans, from DC Comics in post-DC Rebirth era of 2017. This five-part story-arc is plotted by writer Benjamin Percy (Green Arrow – Island of Scars, Green Arrow – The Death and Life of Oliver Queen), Christopher Priest and Dan Abnett (Annihilation – Conquest, Annihilation – Nova). 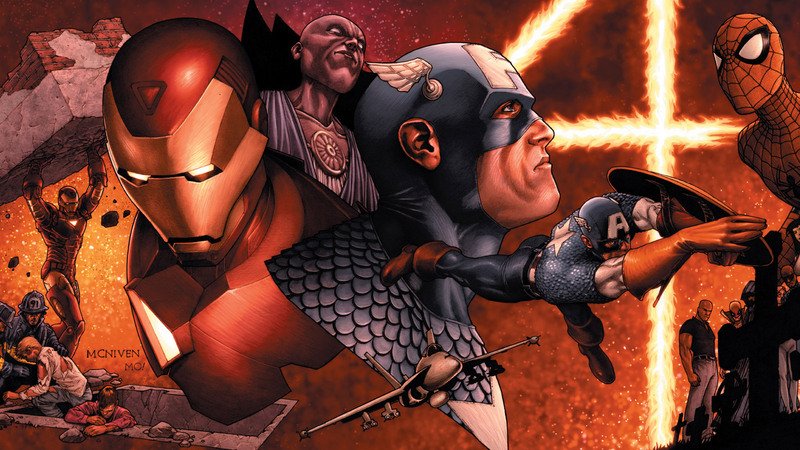 These finest comic-book writers were assisted by artists Brett Booth (Fantastic Four, X-Men), Carlo Pagulayan (Elektra, Emma Frost), Phil Hester (Green Arrow, Nightwing), Larry Hama (Venom – Along Came A Spider, Venom – Carnage Unleashed) and Paul Pelletier (Fall of the Hulks, War of Kings) with their finest talents. 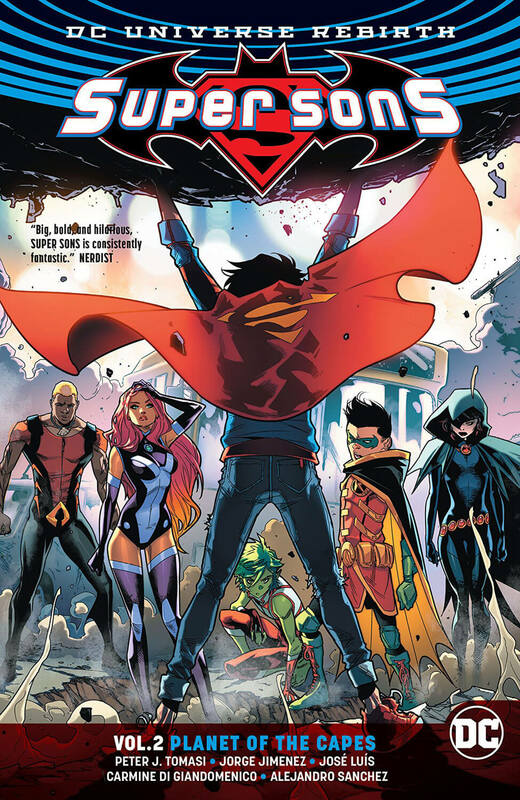 "The Lazarus Contract" is mainly a huge nod to the 1984 storyline "New Teen Titans – The Judas Contract" by Marv Wolfman (Convergence – New Teen Titans, Crisis on Infinite Earths) and George Pérez (Infinity Gauntlet, Inhumans), which is adapted into a direct-to-video animated superhero movie of the same name in 2017. 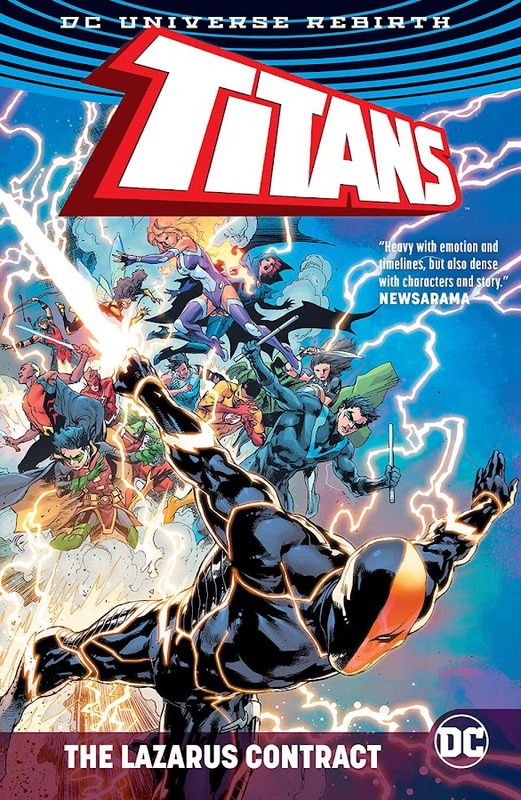 The original story that inspired "The Lazarus Contract" was about Deathstroke's debut on the pages of New Teen Titans monthly ongoing series and taking on an unfulfilled contract of his son Grant Wilson with H.I.V.E. 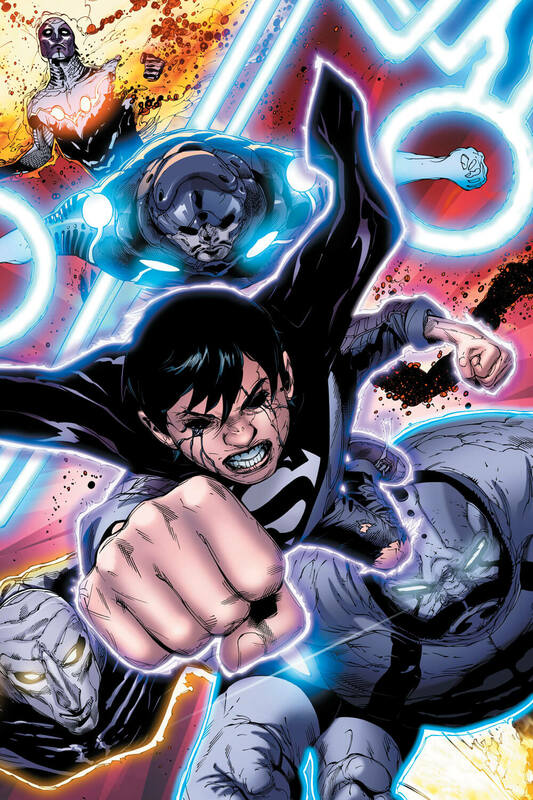 Here, the conflict with the Titans also involved the father-son duo of the revamped timeline of Prime Earth.